A two week salute to pioneering first females in film — who all worked more than a century ago — begins on Turner Classic Movies with three films by French-born director Alice Guy-Blaché, above. They are the 1913 “A House Divided” (8 p.m.), the 1916 “The Ocean Waif” (8:25 p.m.) and the 1912 “Falling Leaves” (8:50 p.m.). They are followed by the 1916 feature “Where Are My Children?” (9:15 p.m.), a drama about abortion written by Lucy Payton and co-directed by Lois Weber, who also directed and wrote and stars in the 1913 short “Suspense” (10:30 p.m.). 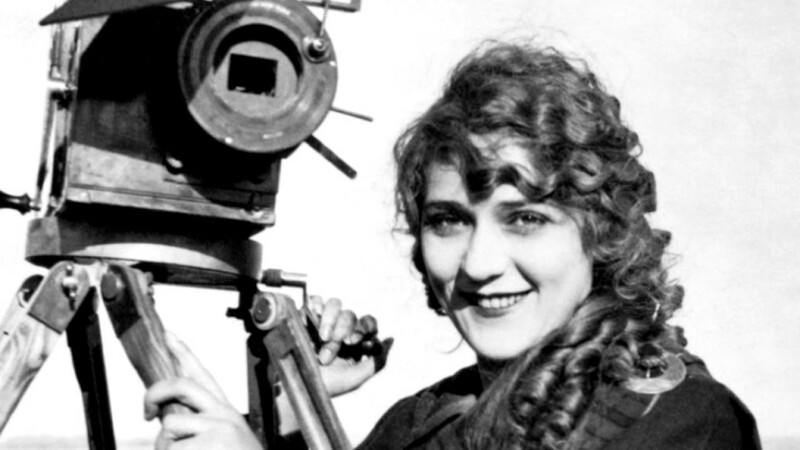 The 1914 comedy short “Mabel’s Blunder” (10:45 p.m.) was written and directed by its star, Mabel Norman, who did the same for the 1914 Charlie Chaplin “Caught in a Cabaret” (11 p.m.). The night ends up with the 1915 “The Call of the Cumberlands” (11:45 p.m.), directed by Julia Crawford Ivers; the 1917 “’49-’17” (1 a.m.), directed by Ruth Ann Baldwin; the 1916 “Her Defiance” (2:15 a.m.), directed by Cleo Madison; and “The Curse of Quan Gwon” (2:45 a.m.) from 1917, directed by Marion Wong. The series ends next Monday. Thursday Night Football has Oakland at San Francisco (NFL, 8:20 p.m.). “Murphy Brown” (CBS, 9:30 p.m.) gears up for midterm election coverage. On “Grey’s Anatomy” (ABC, 8 p.m.), Meredith’s patient celebrates the Day of the Dead. It’s a double labor on “Superstore” (NBC, 8 p.m.). Dean continues to struggle on “Supernatural” (CW, 8 p.m.). Leonard has to distribute grant money on “The Big Bang Theory” (CBS, 8 p.m.). “Young Sheldon” (CBS, 8:30 p.m.) gets in trouble with a fellow genius at the science fair. Three go looking for Landon on “Legacies” (CW, 9 p.m.). On “The Good Place” (NBC, 8:30 p.m.), Eleanor makes a discovery that tests her resolve. “Jersey Shore Family Vacation” (MTV, 8 p.m.), goes back to the beach. Should be we interested in the “Sexiest Chef Alive” (Food, 8 p.m.)? They’re dragging out the marriage on “Shahs of Sunset” (Bravo, 9 p.m.). Grace joins her father on a road trip on “Will & Grace” (NBC, 9 p.m.). On “Mom” (CBS, 9 p.m.), a gambling debt causes problems. A training seminar goes wrong at “Station 19” (ABC, 9 p.m.). On “How to Get Away with Murder” (ABC, 10 p.m.), Annalise gets a call from the governor. An anniversary approaches on “I Feel Bad” (NBC, 9:30 p.m.). On “Law & Order: Special Victims Unit” (NBC, 10 p.m.), a family is murdered in their sleep. “SWAT” (CBS, 10 p.m.) goes after a diamond ring, and Debbie Allen stars as Hondo’s mom. Basketball has Milwaukee at Boston (TNT, 8 p.m.) and New Orleans at Portland (TNT, 10:30 p.m.). Hockey includes Winnipeg vs. Florida (NBC Sports, 2 p.m.). There are world championships in Women’s Gymnastics (NBC Sports, 8 p.m.). Kelly Ripa and Ryan Seacrest: Diane Lane, Sam Heughan, Lukas Graham. The View: Jason Segel, Geraldo Rivera. The Talk: Dermot Mulroney, Piers Morgan, Carrie Ann Inaba, Lynda Lopez. Ellen DeGeneres: Rami Malek. Wendy Williams: Billy Porter. The Real: Cyndi Lauper. Stephen Colbert: Chris Wallace, Cole Sprouse, Tony Bennett. Jimmy Kimmel: Julia Roberts, Science Bob Pflugfelder, Tenacious D. Jimmy Fallon: Justin Timberlake, Sunny Suljic, Pistol Annies. Seth Meyers: Michael Moore, Odetta Hartman, Anthony Ramos. Trevor Noah: Dwayne Wade.